You can stay optimistic about the weather forecast without losing all sense of pragmatism by kitting up in Castelli's Perfetto Convertible Jacket. 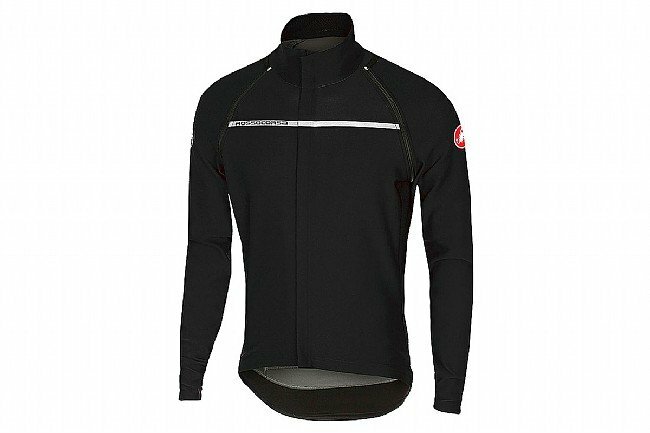 With the removable over-the-shoulder sleeve design, you'll be ready for incoming downpours with the same protection of a Perfetto Long Sleeve Jersey, but once the clouds clear up, zip them off for the all-round wearability of a short-sleeve jersey. It fits better than ever with a redesigned rear splash flap, which lies flatter for more coverage without spoiling your aerodynamic profile, and Nano Flex panels under the arms give you unrestricted mobility for total comfort. The Gore® Windstopper™ X-Lite Plus fabric has a stronger water-repellent coating that keeps out the wet without sacrificing anything in terms of breathability. Features three rear pockets, silicone gripper hem, and reflective accents. Available in multiple colors. I like the zip off sleeves. It fits like a jersey but it is a jacket. I would order a size bigger due to how It fits. I've used this in off and on showers in the low 50s and it has been perfect. Rides consisting of 1hr to 4hrs. Looking forward to trying it in a more consistent steady rain ride. I was a regular used of Gore Bike Wear and had trouble with the Castelli fitting. Read several good reviews of the Gabba 2 jacket and tried it out. I really like the fitting as well as the coverage, which is better than most Gore jackets. 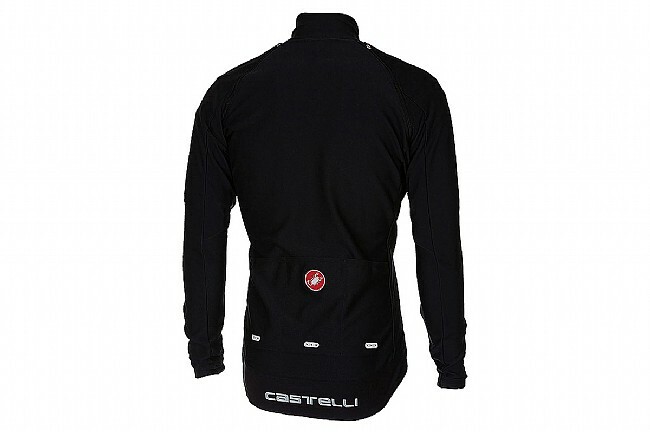 And while I'll still use them, this jacket has made me a believer in Castelli once again. Only complaint is the lack of bright colors (neon yellow, red). The gabba came up trumps, it's both windproof and impressively breathable, and while I thought the zip-off arms were more of a gimmick than required I've actually used them repeatedly. The body is tight, and doesn't pooch and the long tail flap is nice. Good pockets. It was expensive, but worth it. Definitely my go to cooler (down to 35F or so) weather gear. 58 and 170 the size large fits like a jersey. Ive only ridden in wind in mid 40s to low 50s and the jacket performed very well. 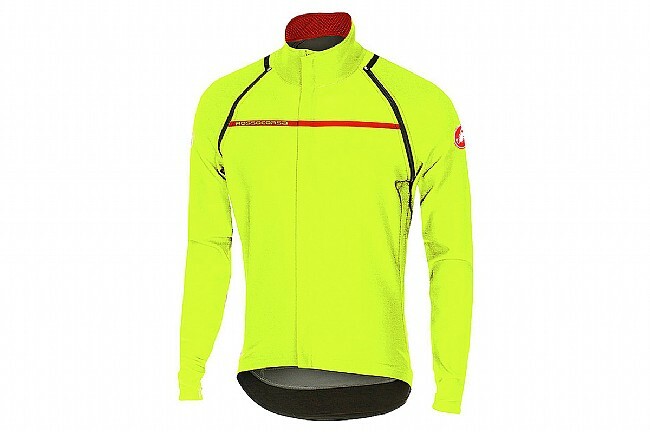 I only wore a short sleeve baselayer with the jacket and was very comfortable in those conditions. Cant comment on rainy conditions at this time. This is the warmest piece I've got, and my go-to when the weather is scary cold. I wouldn't want to wear it if the weather is going to be over 50, but if it's going to be in the 40s or below it's great. Warm and comfortable on cold mornings. I love this jacketlong sleeve jersey. I usually wear in with a under layer in 55 degree weather and I stay warm. Also have warn in 65 degree weather and it's not to warm. Material is thick and flexible. Great buy. Best jacket I have ever purchased! The fit of the jacket is definitely race fit which I like. I wear a Medium in Castelli jerseys and so this fit is the same. Tight, form fitting, but when you're in your riding position everything feels great. I don't like floppy or loose fitting jackets so if you like a bit more give in your top layer (or if you want to wear anything more than a base layer underneath) I would recommend sizing up one size. 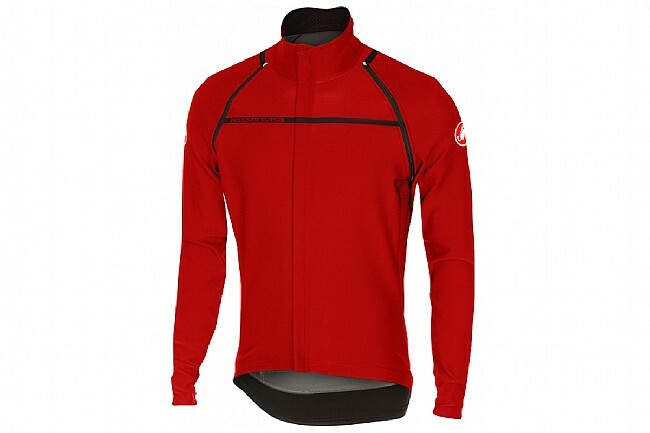 On colder days, (under 45 degrees) I wear a long sleeve base layer like the Castelli Flanders. On slightly warmer days 45-55, I wear a basic short sleeve base layer and I'm good to go. The jacket is well thought out, with removable sleeves, exterior pockets, and a nice collar that is comfortable even when zipped all the way up. This is a great jacket and I HIGHLY recommend it!